Between having family in Colorado and Pennsylvania, my hubby and I have become somewhat frequent fliers. Holiday took her first plane ride at 3 months and has probably flown more than 30 times now at 4. I get asked for a lot of suggestions on what to take to keep little ones occupied while traveling. I try to pack what will engage on the plane, while waiting to board and also think about what will entertain her during our trip. Here's my Quick Checklist of what we carry on the plane with us. BACKPACK Holiday has the SMALL size backpack from Pottery Barn Kids that I use on the plane for her. I wouldn't waste your time or money with the mini or preschool/ Pre-K versions of the backpack-- they are VERY small and won't even fit a full size library book. The bag on the right we've had for 3 years and it's still in perfect shape. The bag on the left I purchased last year because...well... it's unicorns and we couldn't pass up unicorns! She used it all year at preschool, on many trips and it still looks brand new. I'm resisting the urge to not buy yet another since the new styles for fall just debuted and they are CUUUTE! HEADPHONES Holiday has an iPod Touch as well as my old iPad that we always update with new movies for her before we travel. Headphones are a must. Even if you think you have it turned down, not everyone wants to hear Let it Go. One thing I've realized is that most kid headphones are "kid safe" and limit how high you can turn anything up. This is great for everyday use, this is horrible for plane travel. I've tried out three different brands on flights, they don't get loud enough to drown out the normal plane noise and consequently, on those trips, Holiday lost interest quickly in movies she couldn't hear. You need headphones that have true noise canceling capabilities and ones that fit over the entire ear. This is my favorite option on the market. You can preset the volume to keep their little ears safe, with capabilities for the volume to get louder if you need it. They are bluetooth and need no wires or plugs! However, it does come with an optional plug if you need to use it or if you lose batter charge. 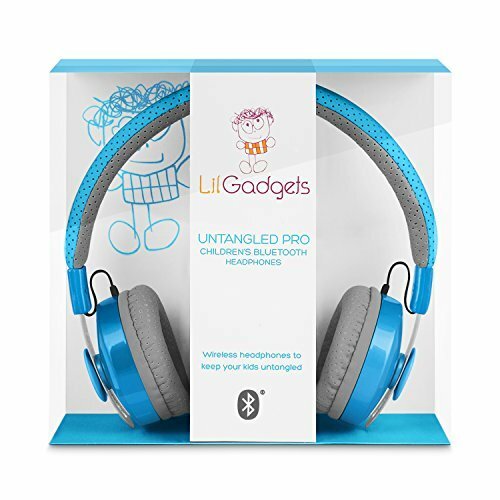 HUGE benefit, they are engineered for kids with earphone covers they can't take off. (Holiday has taken hers off of others before and glued them to her art project-- so this was a big plus for me)! I also LOVE that she can use these with our DVD players in the car as well. WATER BOTTLE Okay, so you know you can't go through TSA with water in this, but I just always make it a point to buy a bottle of water as soon as we get through security to fill her cup. The Contigo water bottles are the best kid water bottles out there. Note for big kids, these are NOT baby sippy cups! Even the adult versions are made the same way-- I have one and love it! 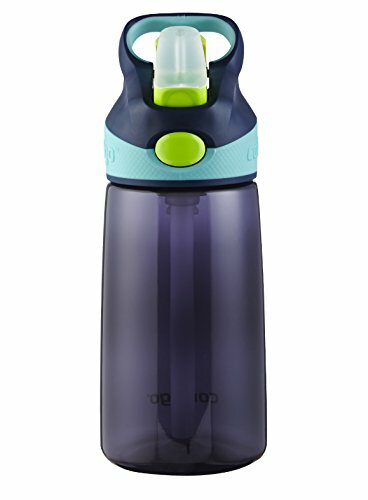 We've never had a leak with the Contigo Autospout bottle... ever. The only issue I've ever had with one is the straw coming lose on the inside and needing to be pushed back in. If you've ever traveled on a plane with a sippy cup, you know the air pressure will cause major leaks-- or in my case-- all out drenching at 30,000 feet. BEST KID TRAVEL HACK EVER: As soon as we get on the plane and get buckled in, I simply take the straw out of the cup and zip it into a tiny zippered pouch on the top of Holiday's PBK backpack. Voila! No leaks! This cup also fits perfectly in the mesh side pouches on the PBK Backpacks as well! These bottles come in countless colors and designs. Order on Amazon, often sold in 3 packs at Costco or pick up at your local Target. Stainless steel version available on Amazon too! 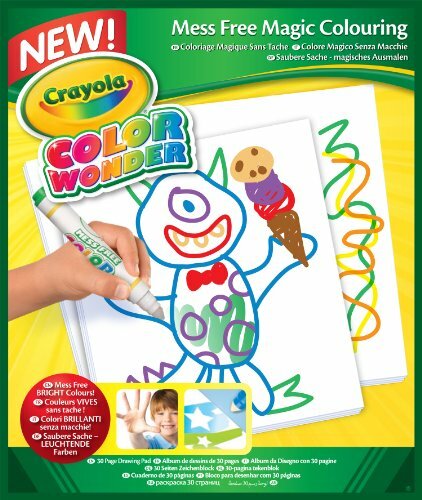 CRAYOLA COLOR WONDER Holiday is pretty much obsessed with Crayola Color Wonder. I always buy a few new Color Wonder books when we travel so we've ended up with quite a collection. I cannot remember a single day over the past 6 months that she has not colored with Color Wonder. Who doesn't love Color Wonder? Never having to think twice about getting marker (even the washable kind) on clothes is a HUGE plus, especially when traveling or coloring on Grandma's couch! 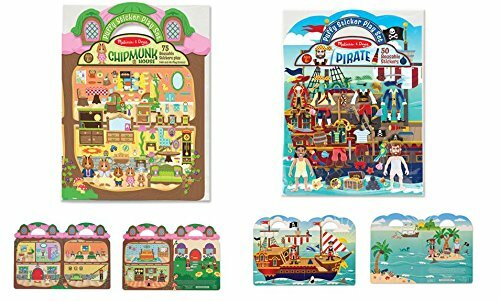 Tons of character books to choose from (lots of Disney themed) as well as books of plain Color Wonder paper. 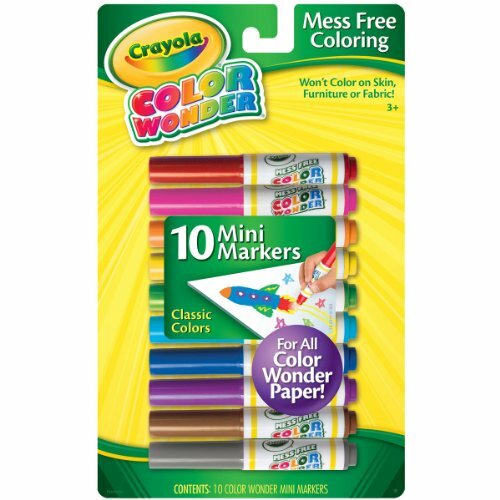 I'm pretty sure everyone on the planet has heard of Color Wonder, but just in case-- Color Wonder markers only show up on Color Wonder paper-- no matter where else they try to color! The more expensive sets come with a few markers or you can buy the markers separately. TRAVEL TRAY I admit it, I'm pretty darn proud of my LATEST KID TRAVEL HACK. Between Color Wonder, drawing and sketching, I felt like I was always spending every flight handing Holiday one color of marker at a time so that they weren't falling all over the place and rolling to the front of the plane. 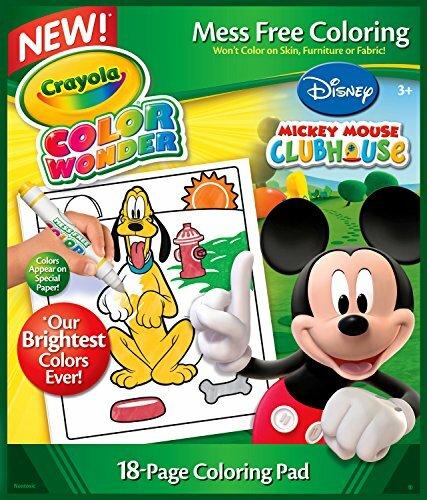 When we went to Disney in February, I remember thinking, "Man, someone needs to invent some kind of holder for the seat back tray with rubber on the bottom to hold markers and little toys while traveling". Once I was home, I was unloading the dishwasher, putting away dishes and realized my genius ideas was already in existence-- just in the kitchen and pantry organization aisle. Notice the Contigo bottle, no straw, ready for take off! This tray is 3in x 9in and can hold quite a few markers. It's heavy duty acrylic-- fits super easily into the bottom of the PBK backpack and no issues with breaking. It is lined with rubber on the bottom and doesn't budge through turbulence. I bought it at Target in the pantry/kitchen organization area for less than $5. Click here to purchase online. Holiday wanted regular markers along with her Color Wonder-- I put each the regular and Color Wonder markers in separate quart-sized Ziploc bags and just alternated which she wanted in the tray. It was the easiest flight of all time, I think I fell asleep for the first time ever since flying with a child. REUSASBLE STICKER BOOKS These have become a flight favorite of Holiday's-- they are reusable puffy sticker books from Melissa and Doug. They are small, the stickers are really durable and can be re-used many times. They are "puffy" stickers and easy for little hands to pick up and move around. Best of all, they're cheap and easy to replace. LCD BOOGIE BOARD WRITING TABLET This thing is pretty genius and a perfect travel toy for kids of all ages. 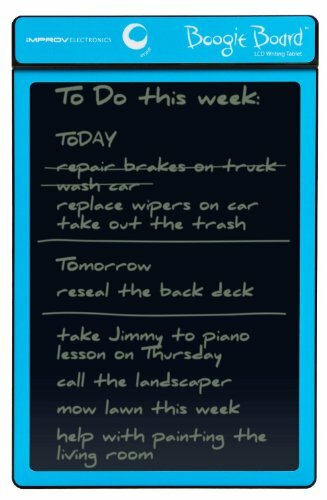 An LCD screen writer, writes super easily and smoothly with stylus, then just push a button to "magically" erase. I'm the sucker who paid $38 for it at the airport toy store, but they are only around $25 on Amazon. 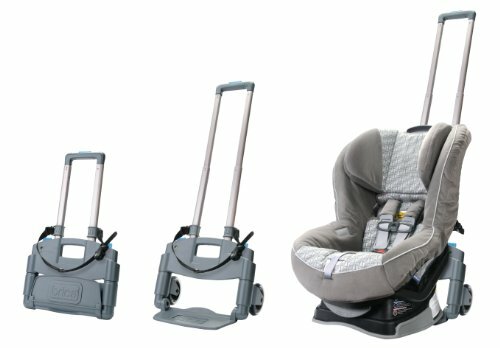 WHAT ABOUT CAR SEATS I've seen a lot of discussion threads regarding traveling with car seats on the many "Mom Pages" I follow. Since we do travel so much, my "rule of thumb" is that if we need a car seat at our destination, we fly with the car seat. If you've ever rented a car seat from a car rental company, you know they are the absolute bottom of the barrel. I have serious doubts that many of them would ever pass a safety inspection test. Holiday has never cried about a car seat except for one we rented. She was so uncomfortable and miserable, not to mention we had non-stop issues with the straps tangling. Enter the Brica Roll n' Go Car Seat Stroller. We have a Diono Rainier Car Seat which is quite heavy, so the Brica is awesome for transporting it through the airport. Holiday rides on her seat on the Brica-- so it's kind of like having a stroller and keeps us moving quickly through the airport. They do take a couple extra minutes to take through security (you have to take the seat off the Brica and put them both through the x-ray machine). When we get on the plane, the Brica folds down super easily and stores overhead (takes up VERY little space). Once you get used to putting your car seat on the Brica, it is very easy. Since David and I usually travel together with Holiday-- he boards the plane first and buckles her car seat in. I wait back with Holiday and get on more towards the end of boarding. It works really well for us. I have traveled by myself with her too and it's manageable alone. I never, ever check our car seat with luggage. I know so many people who have had their car seats damaged doing this, even with the travel bags. Just a month or so ago, I was on a flight and right after I boarded, I noticed out my window that they were loading luggage right below me. I then saw two car seats go flying, skidding across the tarmac. I used to work for a CEO of a major airline-- he always said with luggage you want hard shell stuff-- everything gets tossed, thrown. Your heavy, steel re-enforced car seat will not be handled gently by anyone and your car insurance company won't replace a car seat injured on the tarmac!